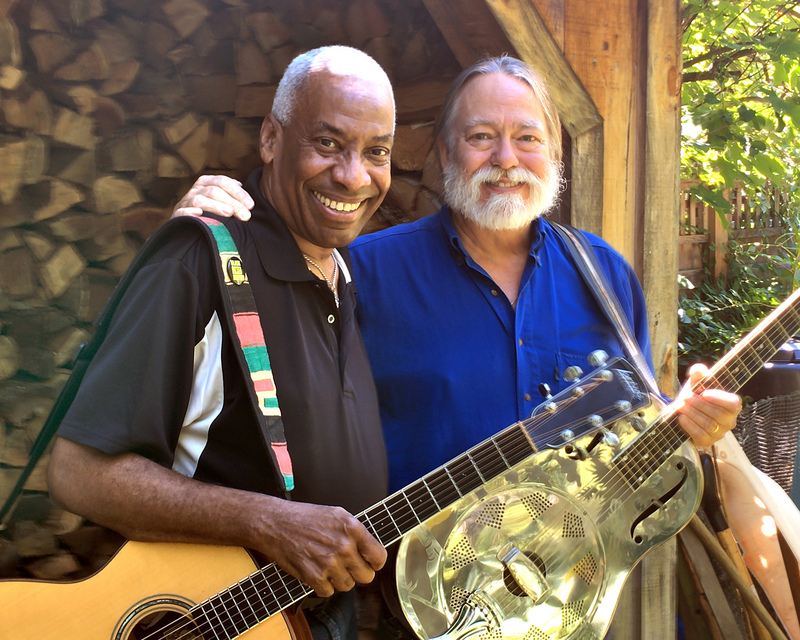 Like two rivers coming together, Reggie Harris and Scott Ainslie come at the music, the history, and the realities of race in America from different perspectives and arrive at the same place. 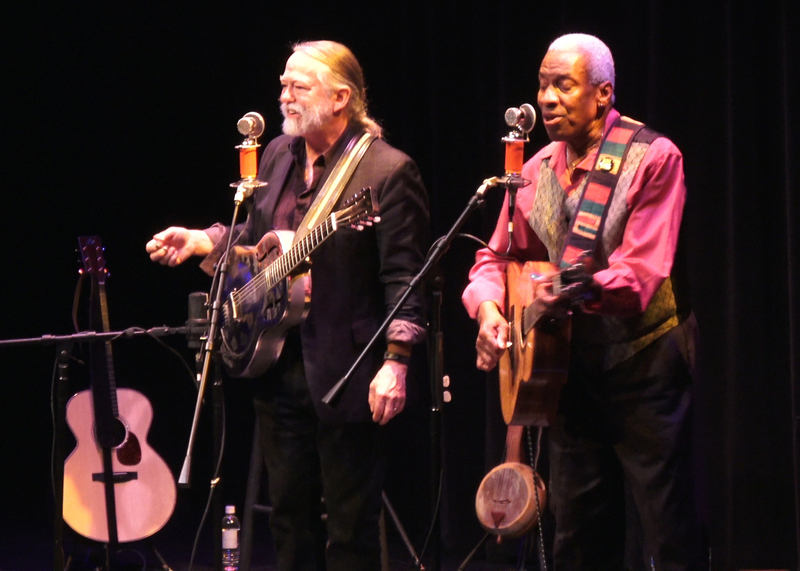 Long Time Comin’ takes its name from Sam Cooke’s striking “Change Is Gonna Come” and refers to both the spirit and the content of the extraordinary dialogue that takes place between these two friends – a white bluesman and a black folksinger. Harmonizing in ways that evoke the meeting of old-school gospel and blue-eyed soul singers, Harris and Ainslie seamlessly weave together spirituals, songs of the Underground Railroad, Civil Rights anthems, work and slave songs, blues, and personal material as they lay out a collaborative history that carries the audience from the depths of slavery to the heights of freedom. Master storytellers, Ainslie and Harris have each spent years looking for the right story – the right historical or personal detail – and the right song to bring the audience closer to the remarkable history that we share. Scott Ainslie is a white performer who came of age during the Civil Rights era outside of Washington DC. 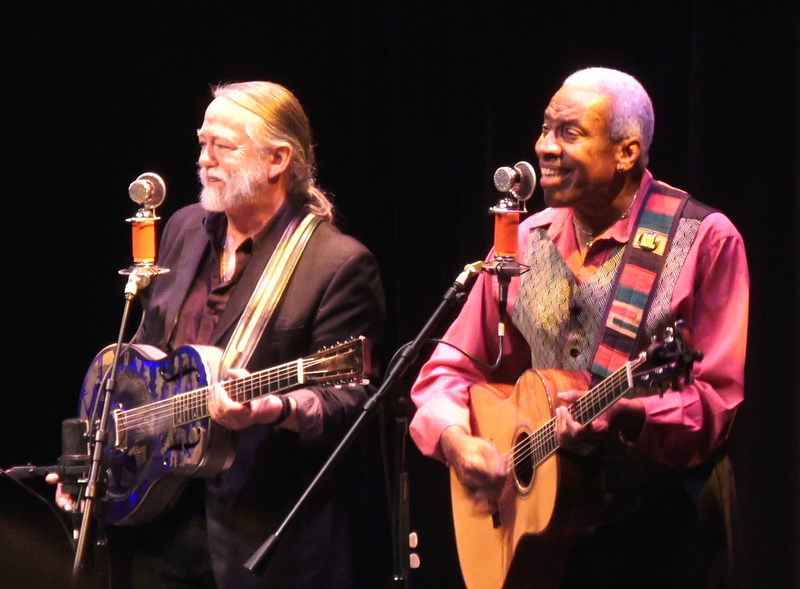 After hearing Piedmont blues master John Jackson in 1967, Ainslie began playing guitar and studying America’s roots music and history, working with senior old-time, blues, and gospel musicians on both sides of the color line. Reggie Harris is a black performer who has cultivated long and deep relationships with veterans of the Civil Rights movement. 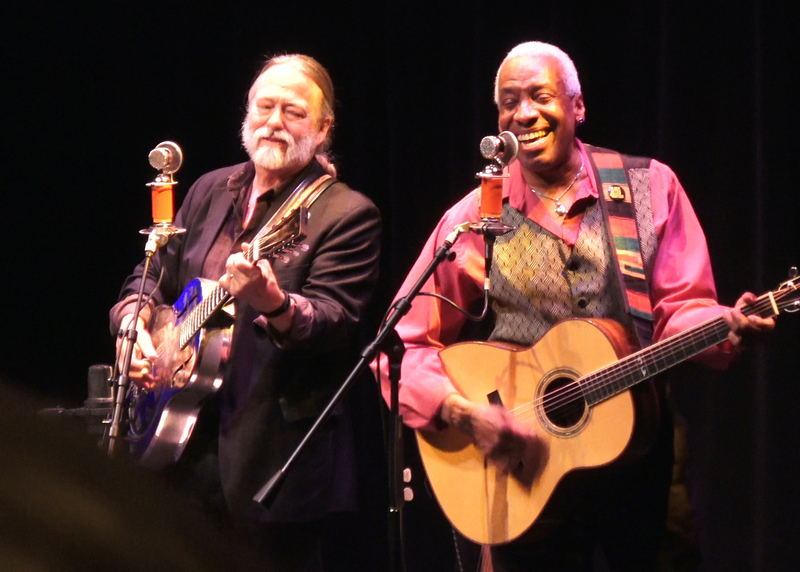 Harris brings his own acute commitment to fairness and determination to advance our dialogue for peace and justice, following the examples of Dr. M. L. King, Pete Seeger, among other past and present day heroes. Holding fast to the tools of their trade, these two men inform and uplift us with stories and songs. Side by side, they demonstrate our ability to thoughtfully address difficult and complex topics with compassion, intelligence, humor, and understanding. They remind us of what is possible, even in troubled times.